Nimes will try to win this home game against Rennes The two teams are almost tied for points in the Ligue 1 standings. The team are still dreaming of a place in European competition for next season but the task is not easy as they are eight points behind St. Etienne, the first team to close the qualifying group for European competitions. Nimes are making a season ahead of schedule, but they must continue to make excellent displays until the end of the season if they want to represent France in European competition next season. The team however seems to be breaking a bit, because in their last five games, only managed to win for once. Nîmes have been feeling some problems recently, their attack has managed to score goals, but they also suffer goals with some regularity. The crocodiles scored twelve goals in their last seven games, but also conceded goals eleven times in that period. The home team has a very reasonable home record and this helps them to win this match. Teji Savanier is one of the most important players of the team, born in Montpellier and since 2015 who is in the service of Nimes. Rennes, in comparison to their opponents, seems to be down as well, as in their last five games they have only managed to win for an occasion. If this trend continues I predict that they can return home empty-handed, that is without any point. In the first round of the season, Rennes beat Nimes 4-0, which means the men of the house are thirsty for revenge. Rennes remain in tenth place, and has not been successful lately, Julien Stéphan’s men seem a bit out of pace. Rennes have also scored goals with some regularity as they have conceded 19 goals in the last nine games, the big question is that the defense has failed and conceded 14 goals, which has been the main obstacle to increasing the league table. Rennes is a French football club which was founded in March 1901, the club is dubbed “Les Rouges et Noirs”. Rennes have yet to win the Ligue 1 trophy but have won the French Cup twice (1964/65 and 1970/71). 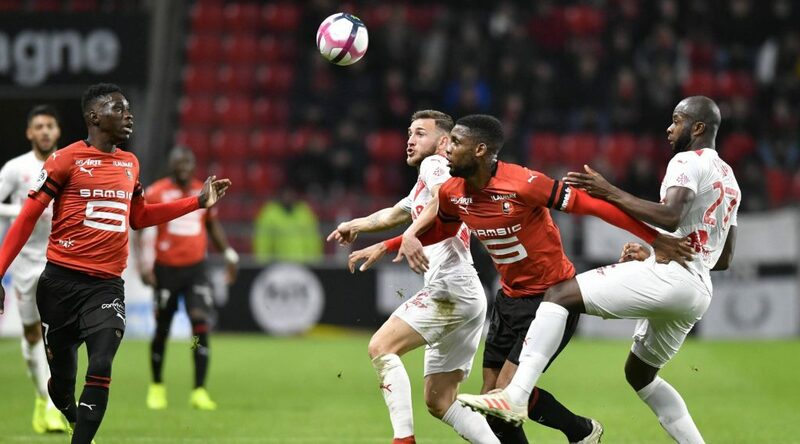 In terms of curiosity, usually when playing at home the football players of Rennes wear black and red sweater, while they wear white when playing in the trips. Both sets have good attacks and somewhat weak defenses. As a result, it should be an open game with a few goals. However in the face of the above I believe that the men of the house can score more goals than their opponent.